Enjoy Fine Downtown Living In The Quiet Gated Westview Community! This Condo Has It All! Wonderful Open Concept of the Kitchen, Living and Dining Areas! Spacious Kitchen Features Granite Countertops! Stainless Steel Appliances! Strikingl Hardwooods! Cozy Study With Built-Ins! Small Balcony Just Off The Living Room! Great Sunset Views and Spectacular Night Views! The HOA Includes A Pool, Community Room With Pool Table, Kitchen and Large TV! 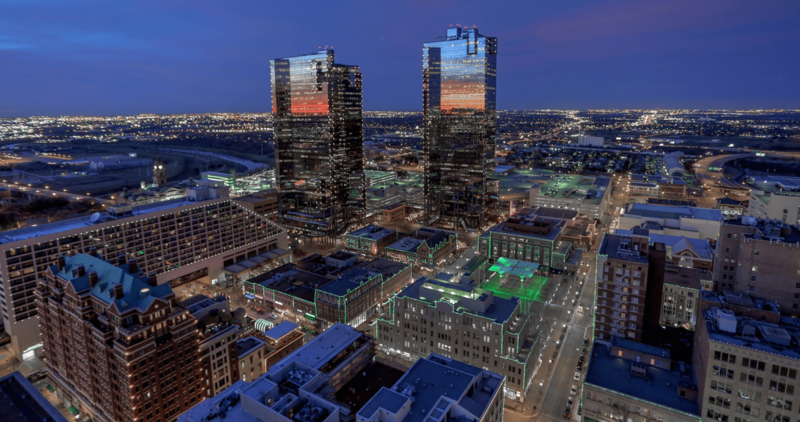 Minutes from Sundance Square, the Trininty, and The Popular 7th Street Areas! Incredible Entertainment, Food, and Walking Trails, Just Minutes From Your Home!